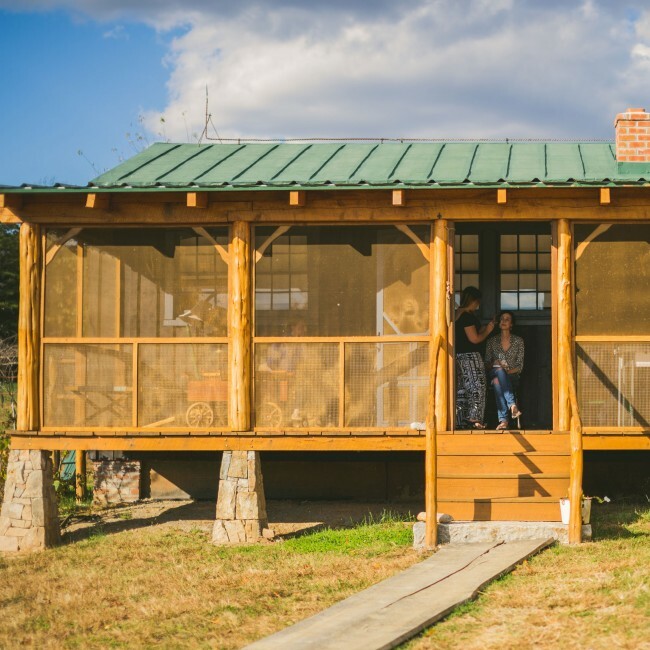 Rassawek is a property steeped in local lore where old buildings and materials from the region–otherwise slated for demolition– are salvaged from the wrecking ball and are relocated, repurposed and rebuilt. 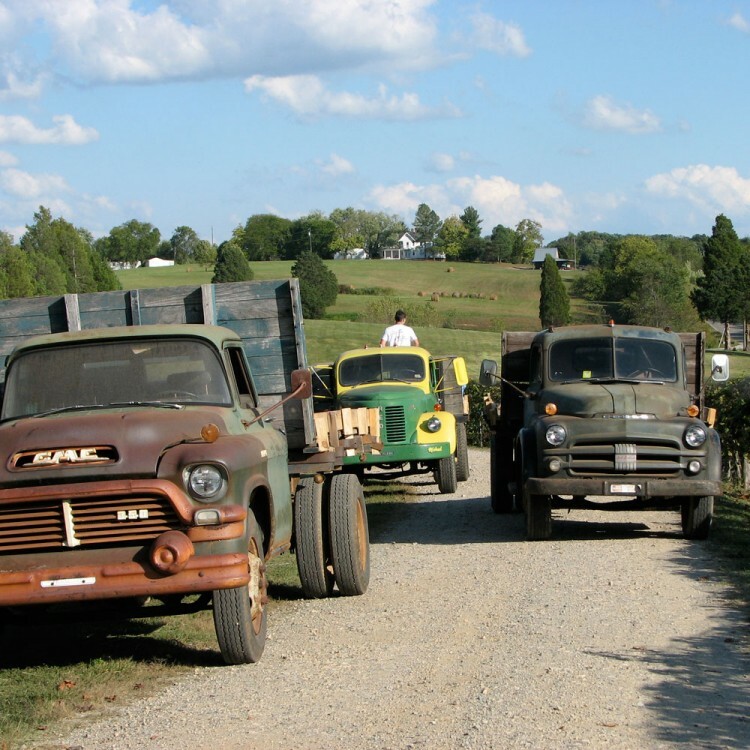 In 2000, the land- a “blank slate” and stunning in its natural beauty- was acquired by a family passionate about preserving the past and motivated to create a retreat unlike any other. 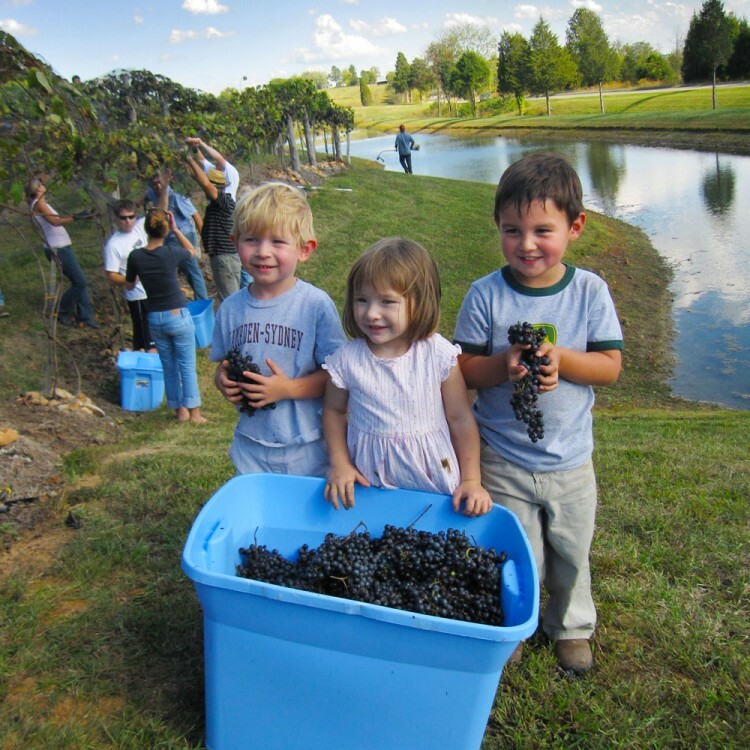 They named the property “Rassawek,” in honor of the namesake village of the Monacan Indians, believed to be a series of camps that stretched out along the James River from the main hub at Point of Fork where the Rivanna and James Rivers converged nearby, and set to work planting a vineyard and reclaiming structures for the enjoyment of future generations. 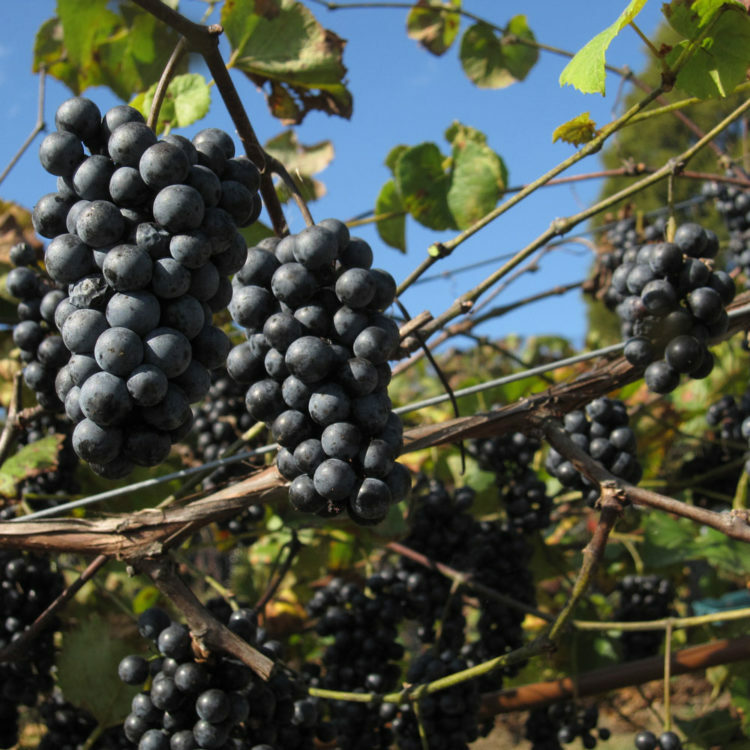 The vineyard was planted in contour rows following the lay of the land. Ponds and roads were added to the property. 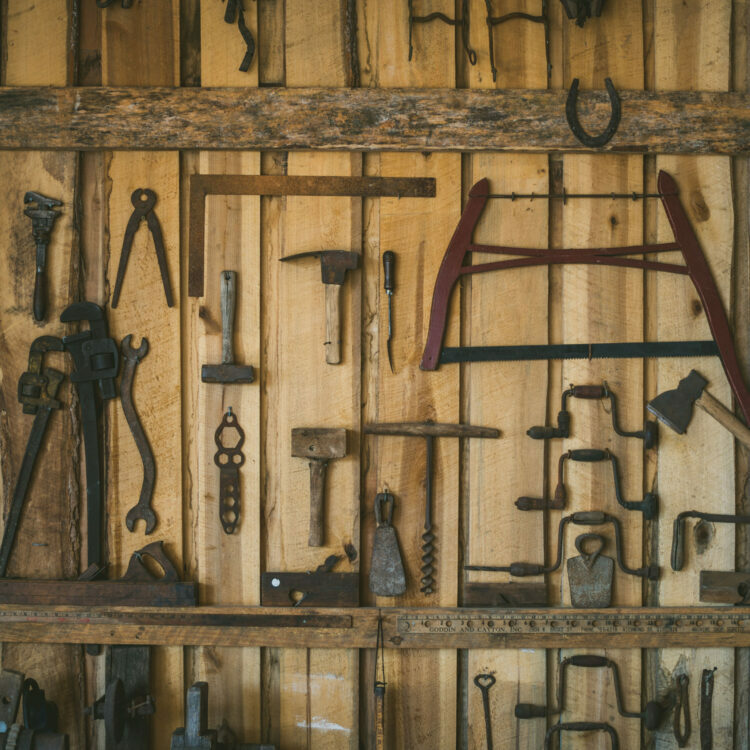 It’s hard to say what came first- the serendipitous acquisition of materials or a master plan. The property bears the signatures of the craftsmen, who contributed their skills to various projects, in the details. 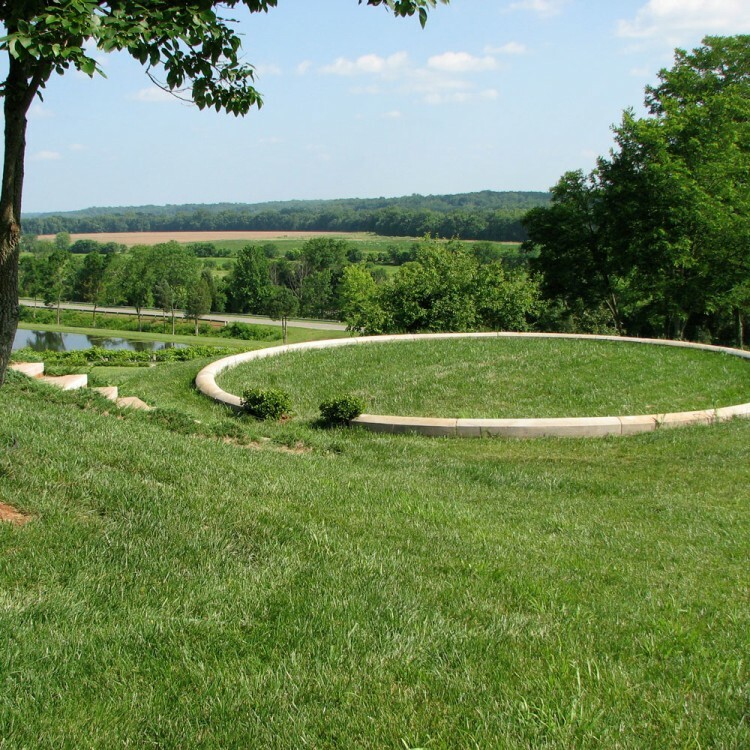 An arched stone bridge, crafted by a master mason, flanked by redbuds and dogwoods, invites visitors to follow the road which winds through rows of grapevines. 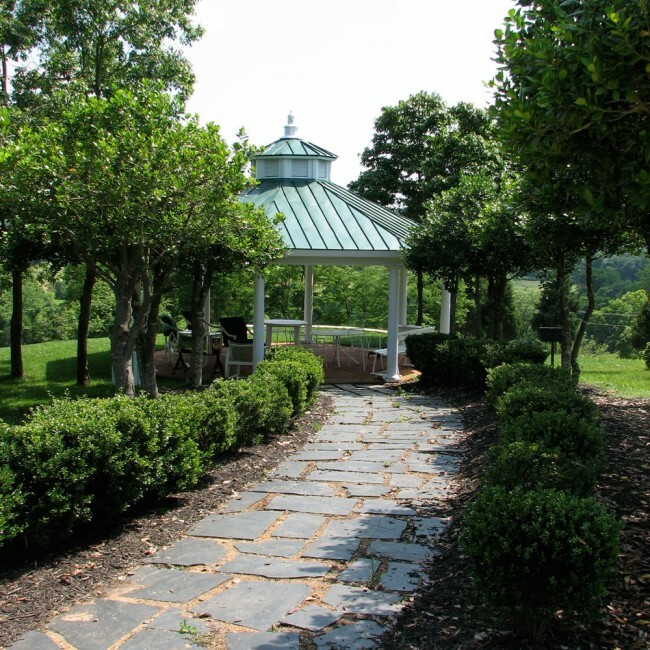 Perched on the top of the hill, a white gazebo, Rassawek’s most visible landmark, offers panoramic views of the river low grounds and three counties- Goochland, Fluvanna and Cumberland. 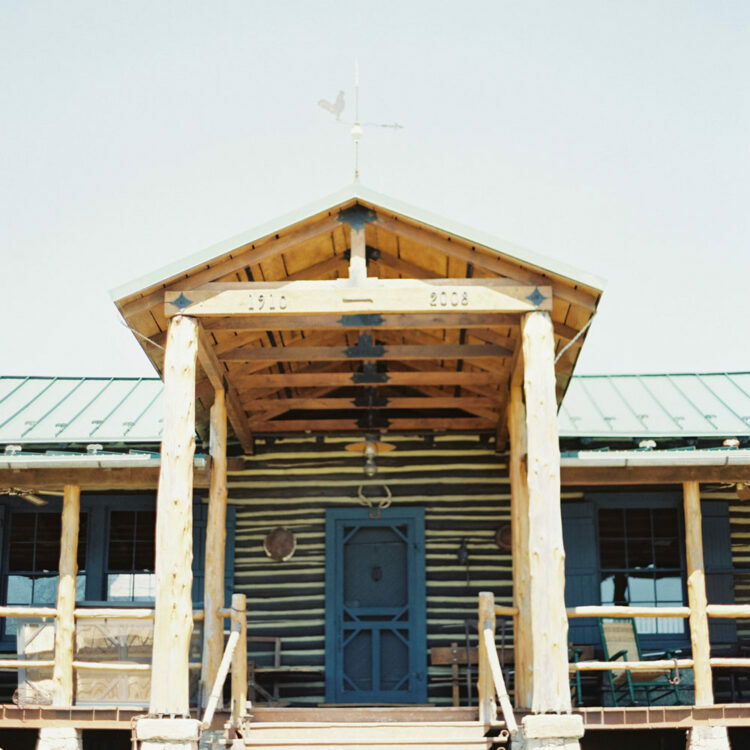 In 2003, the first building to find new life at Rassawek was the “Saylor” cabin, circa 1844. 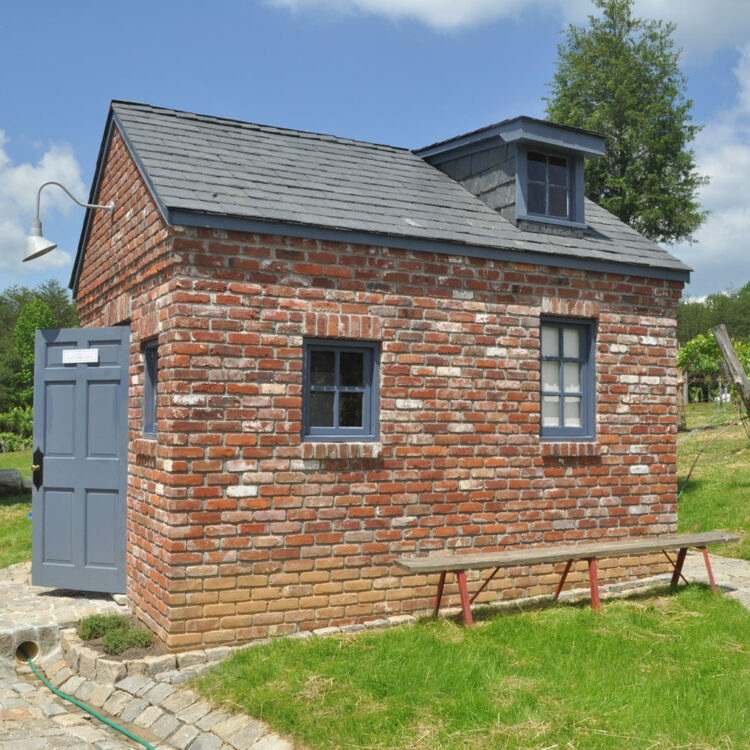 The two-story structure was moved one floor at a time and reconstructed with an eye for authenticity. 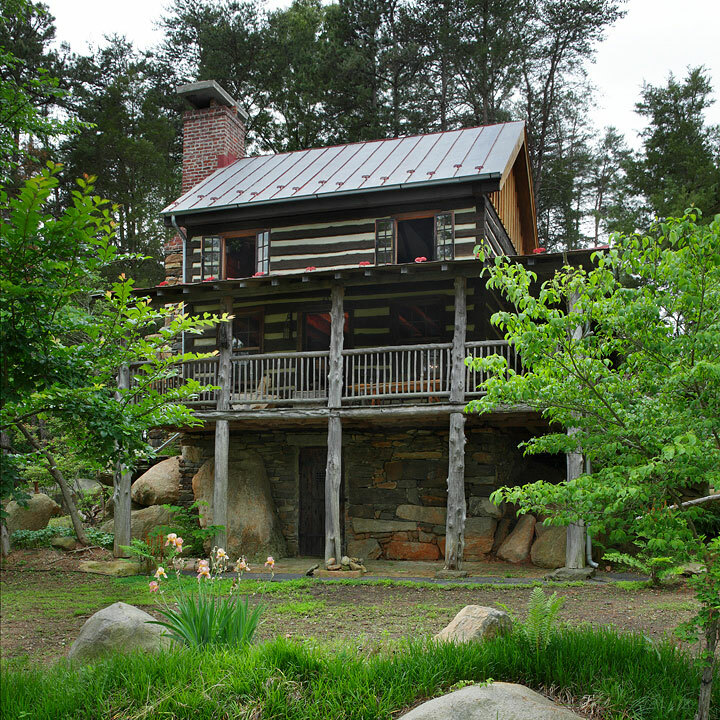 The “Cherokee” cabin, built in 1910, followed in 2008 and was reconstructed overlooking a pond at the north end of the property. 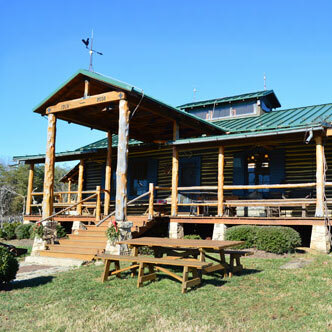 Grapevines were then planted in a radial pattern with the Cherokee cabin as the hub. 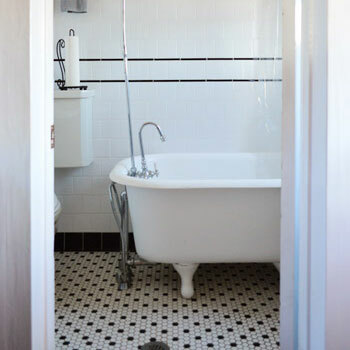 Salvaged antique items fill the interior. 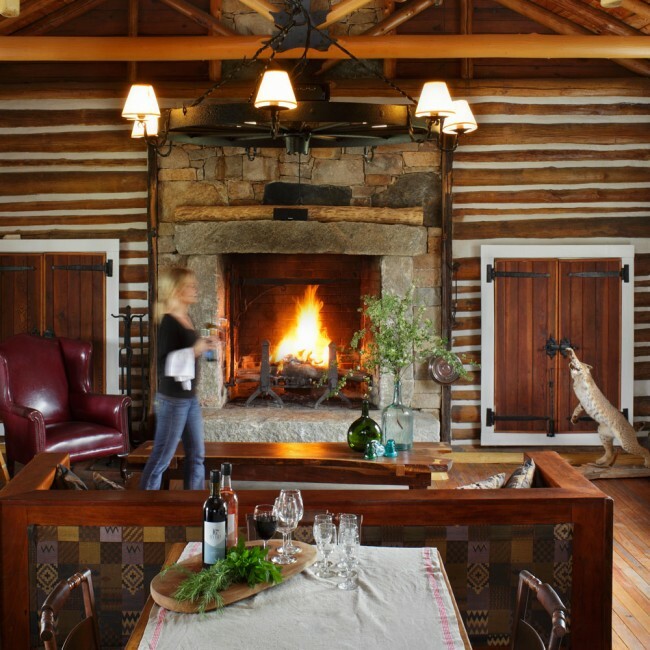 The fireplace, built from native rocks and those original to the cabin, sports massive lintels that were hand-split on site. The floors and wavy pane glass are original to the cabin. A skylight and cupola provide ventilation and natural light. Adjacent to the Cherokee Cabin is the greenhouse, originally from James Madison’s home, Montpelier. The spacious room, with its brick floor, fireplace and stunning glass, is not only an architectural gem but a perfect spot for gathering. 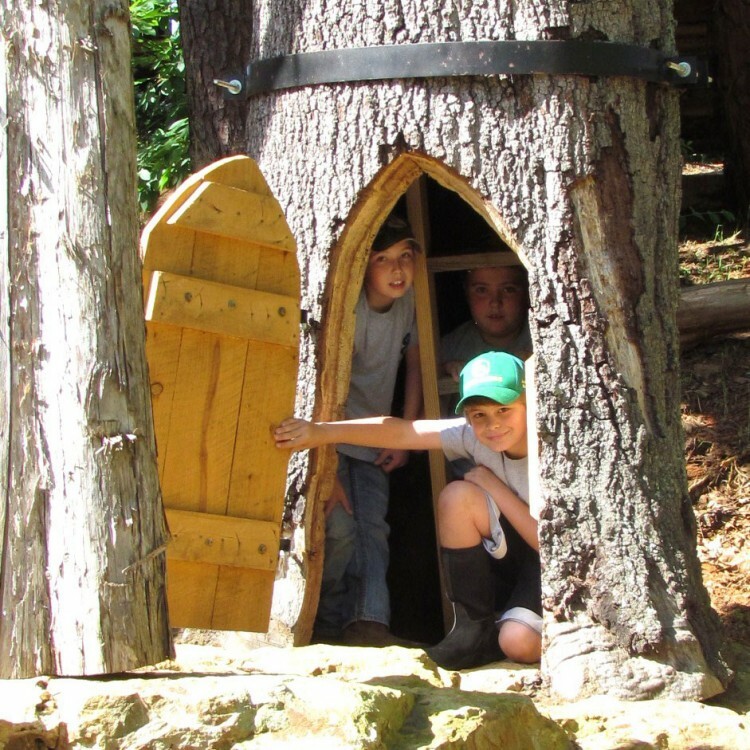 Rassawek continues to evolve, fueled by by the family’s imagination, creativity, respect for the past and by the desire to teach future generations about an earlier time. 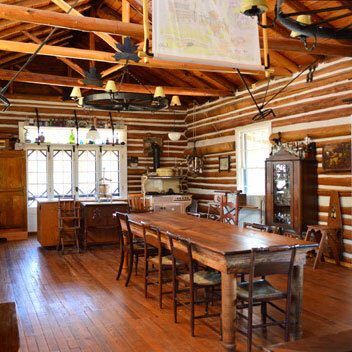 The first cabin to find a new life at Rassawek was the “Saylor” cabin, circa 1844. 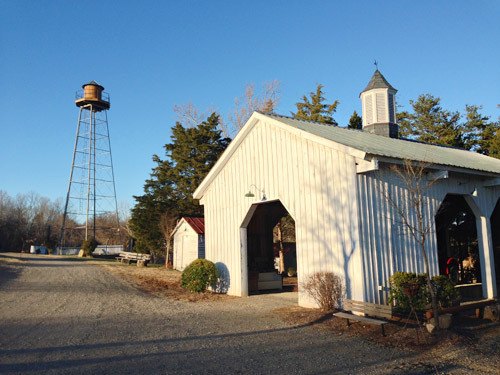 When the Goochland property was slated for development, the two-story building was relocated and restored at Rassawek in 2003. In order to relocate the cabin it was moved in sections by separating the first and second floor. A stone cellar was added as the foundation for the cabin’s new home. 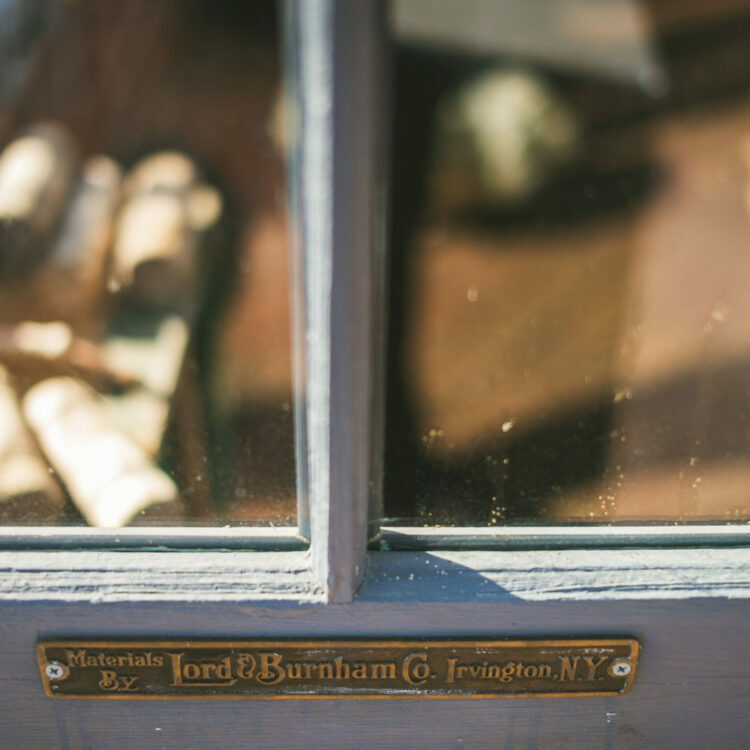 The name of the cabin came from a piece of wood found above the door jam during reconstruction. The name “Saylor” was scripted out in pencil on the wood and the year 1844. Next to the piece of wood was cuff of a mans dress shirt. We like to think that the cuff belonged to the person who built the house, which is on display inside the cabin. 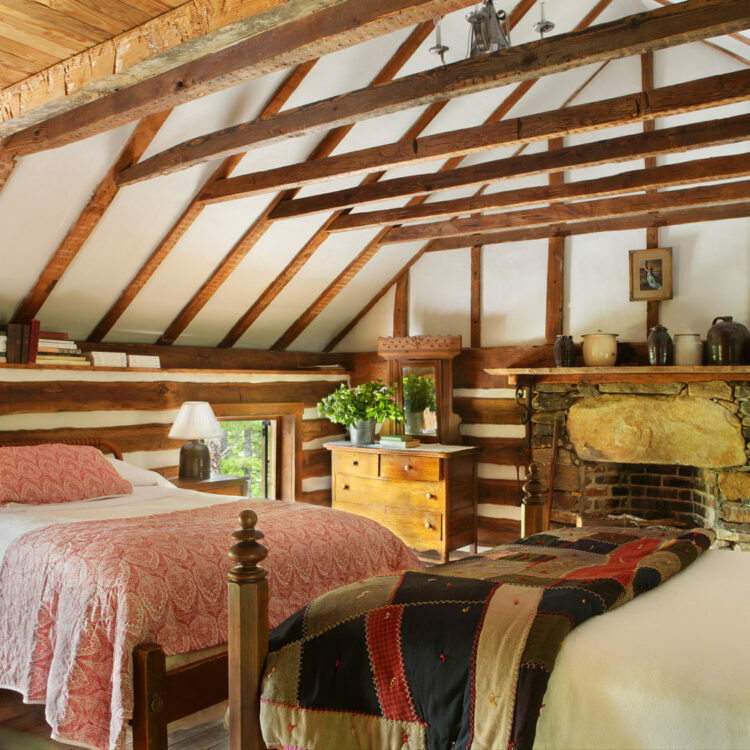 This cabin is rustic and authentic to the time period it was built. 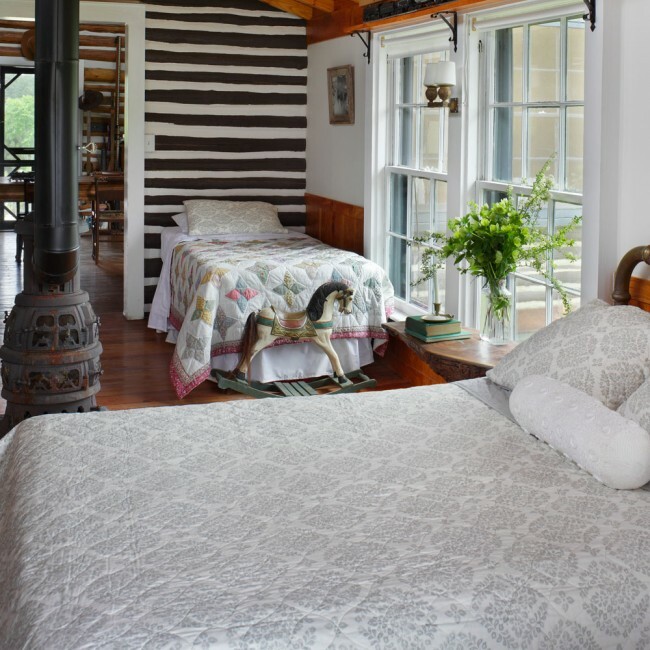 The downstairs living area has a stone hearth fireplace and a bedroom upstairs with two full size beds. 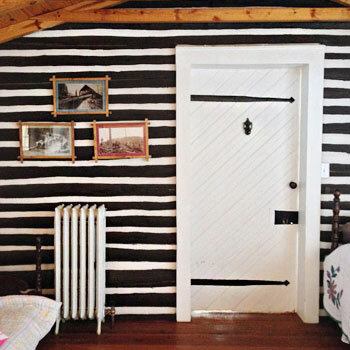 Staying in this cabin is like living in 1844, the amenities are limited and rustic. The “Cherokee” cabin, built in 1910, and was relocated to Rassawek in 2008. 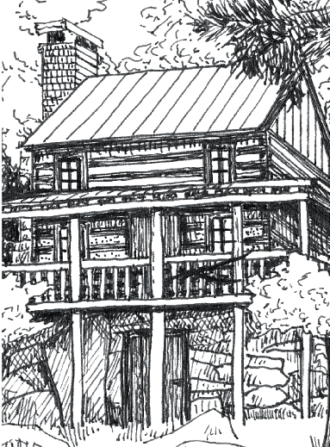 Once reconstructed overlooking a pond at the north end of the property, a porch was added, fashioning porch posts from nearby cedar trees. The porch planks were milled from trees that grew around the original cabin site on Cherokee Road in Richmond, Virginia. 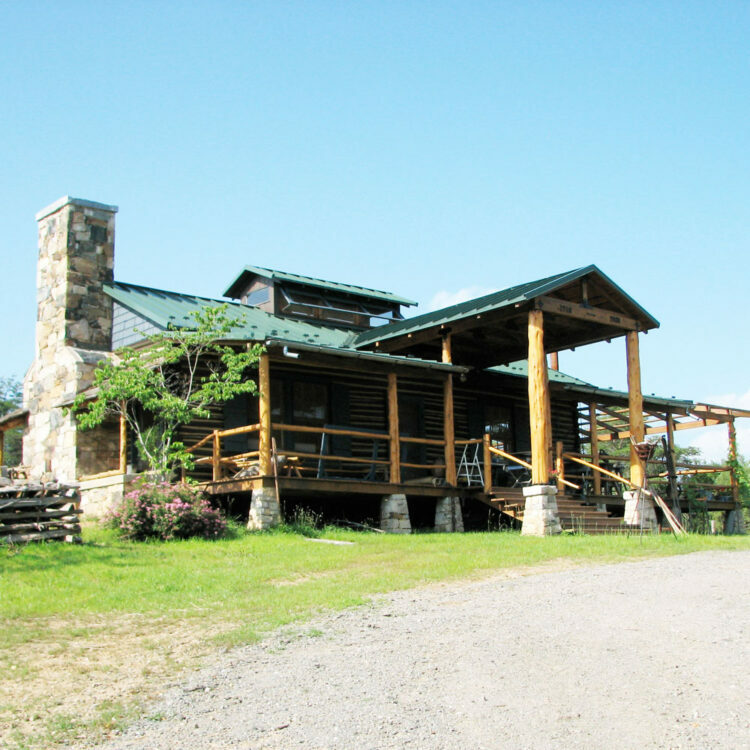 Grapevines were then planted in a radial pattern with the Cherokee cabin as the hub. The interior has many salvaged antique items. 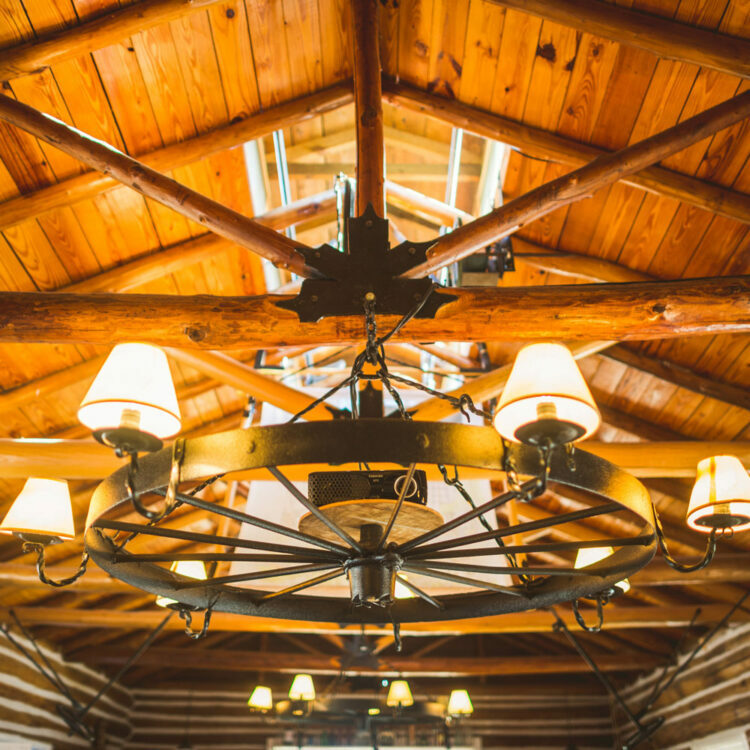 The chimney was built from a combination of rocks that came from the property and from the original cabin fireplace. The massive lintels surrounding the fireplace were hand-split on site. A skylight and cupola provide ventilation and natural light and operate by crank mechanisms salvaged from the greenhouse at James Madison’s Montpelier. 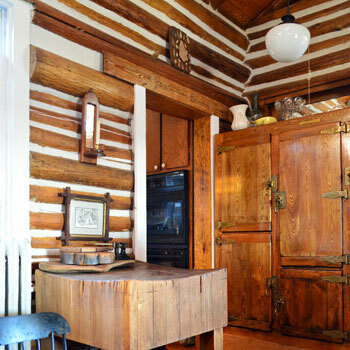 The floors and wavy pane glass are original to the cabin. This cabin has three sleeping areas, that can sleep 13 guests. 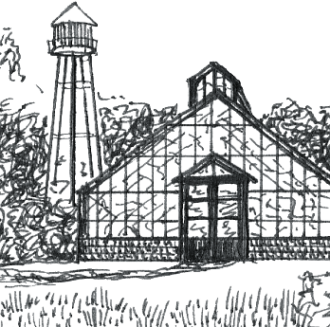 The Lord & Burnham greenhouse, circa 1910, is from former Presdient James Madison’s home Montpelier. 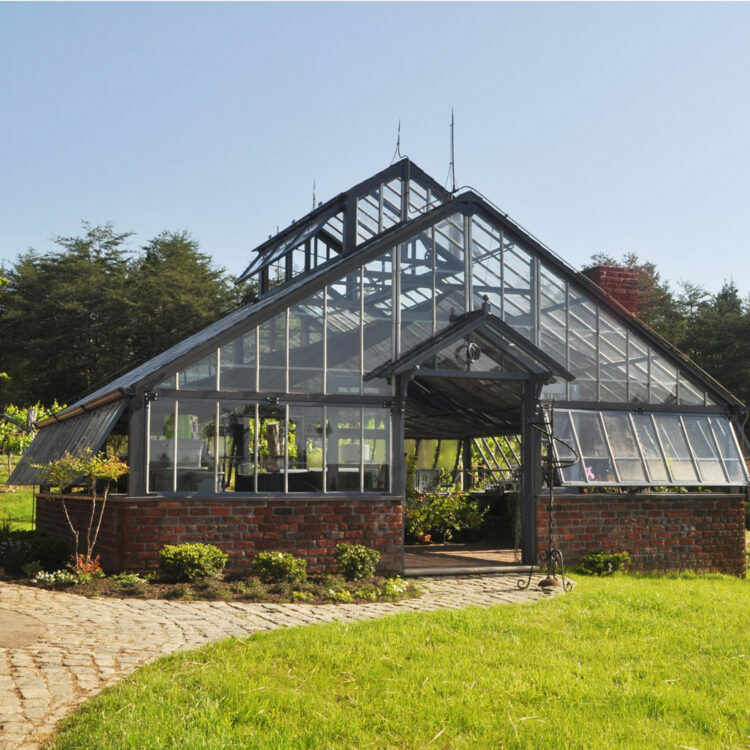 The Greenhouse was taken apart pane by pane and only a portion of one the greenhouses was reconstructed here at Rassawek. This space is great for dinner gatherings, bridesmaid luncheons, rehearsal dinners, ceremonies and anything else you want to host. Seating can be reconfigured to suit your needs. The large farm table seats 18 guests. 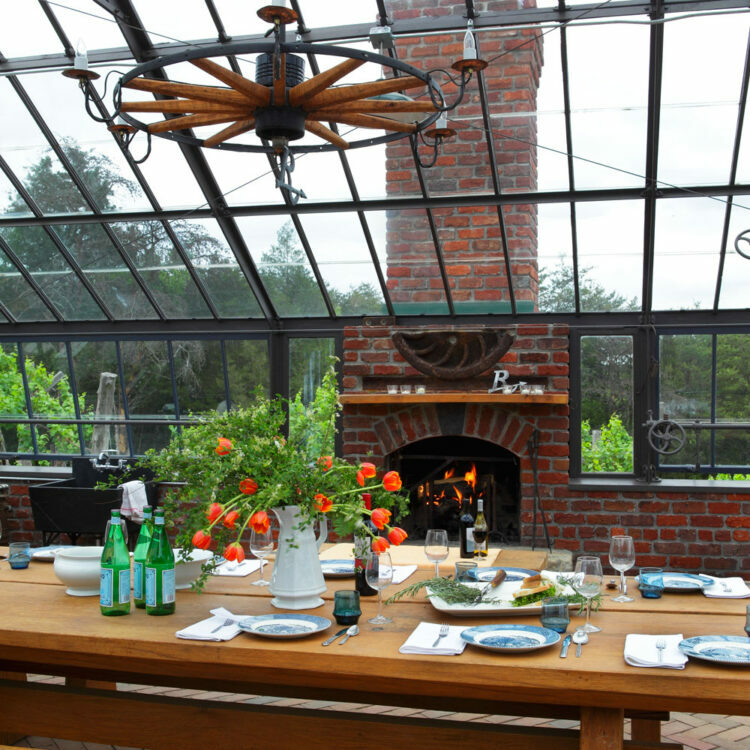 Spring and Fall are the ideal times to use the greenhouse. In the winter time this cabin is heated by the fireplace and stays very warm. 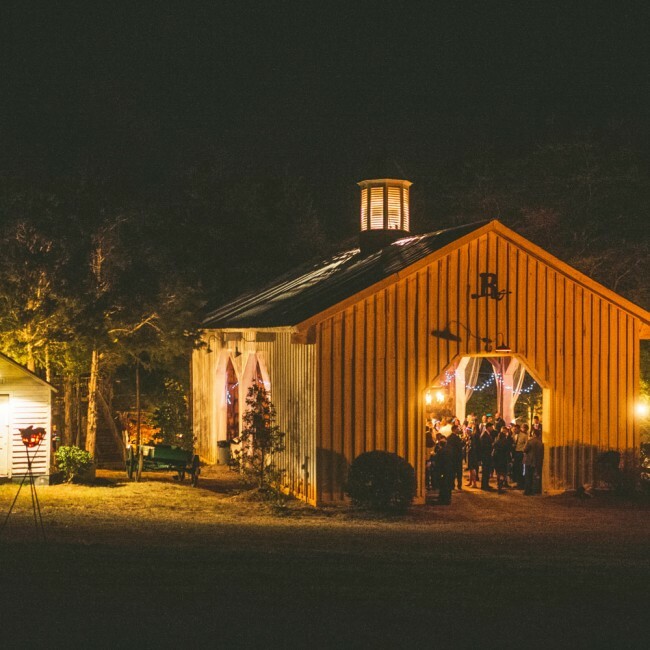 The beautiful white barn was built in 2012 using beams from a local dance hall in Goochland County that was being demolished. The beams were salvaged and they continue to hold the place where dancing still continues. The cupola was salvaged from the original gymnasium at St. Christopher’s School in Richmond, Virginia. 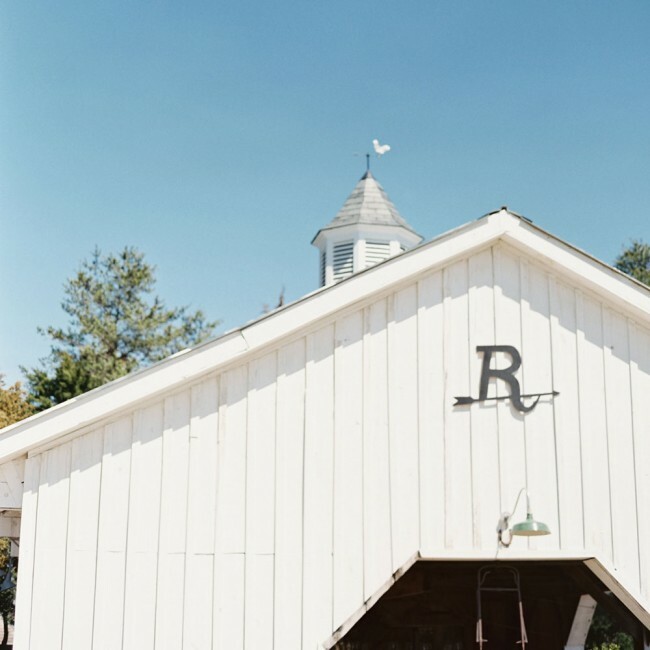 The barn has a gorgeous view of the James River corridor. 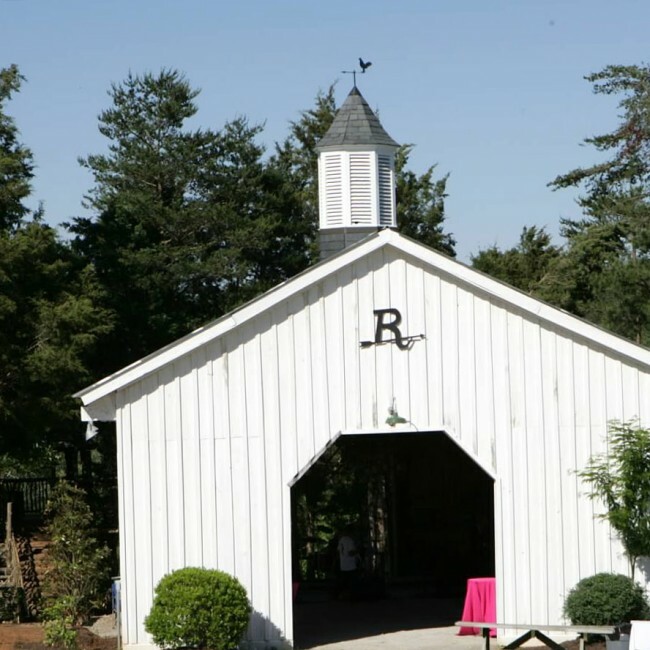 The barn is available for receptions, family reunions, lectures and an amazing place to have a dinner gathering. 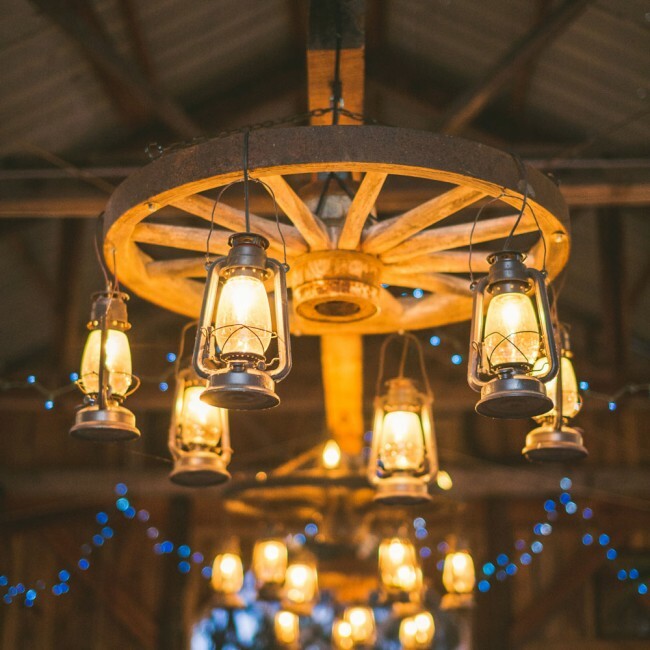 The wagon wheel lights can lowered for intimate dinner lighting. The Hilltop is surrounded with a stunning view. 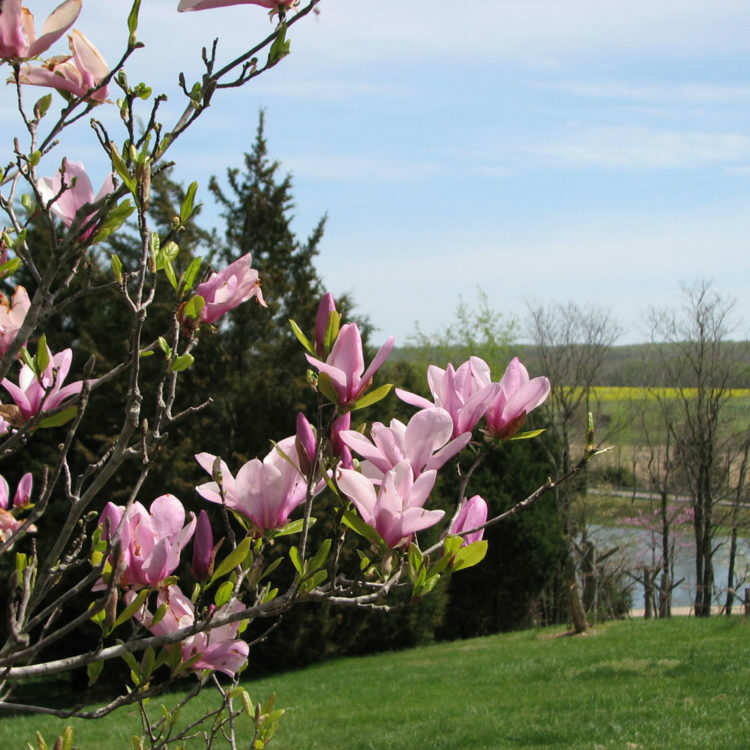 The Saylor cabin, barn, gazebo and ceremony circle and treehouse are all located in this general area. There is a large grassy knoll where large tents can be placed for events. The passion for growing grapes stems from our love of wine and the aesthetics they lend to the landscape. Growing these little bundles started in 2004, with Norton grapes. A few years later we planted Chardonnay grapes around the Cherokee cabin. 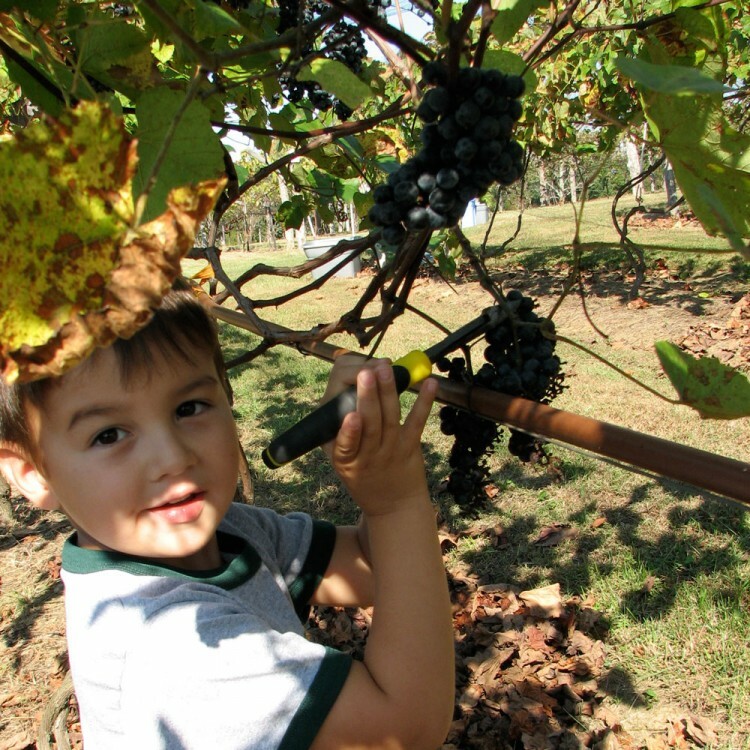 Having a vineyard is a labor of love, that is why during harvest time we have the entire family helping with the harvest. 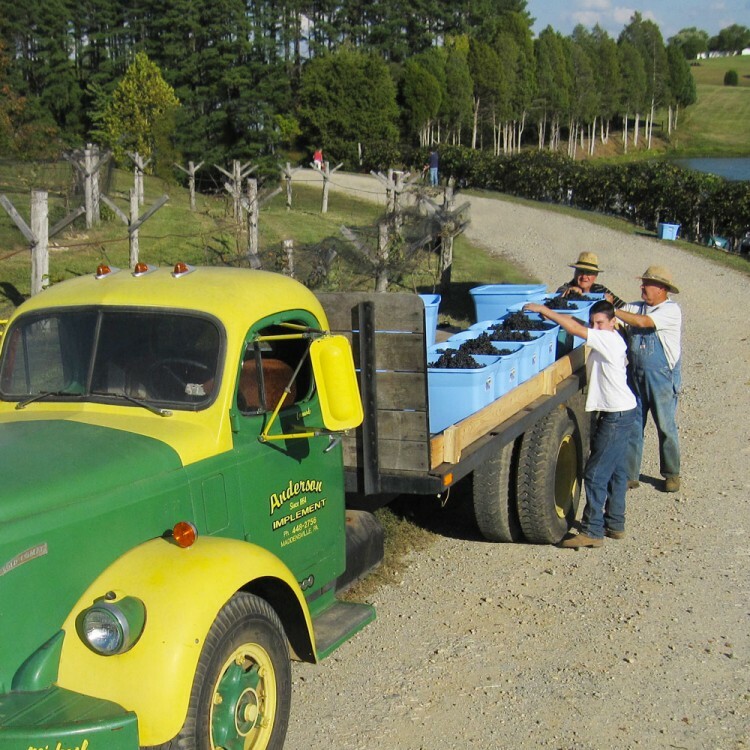 Our grapes are sold to local wineries. Currently we do not have our own labeled wine, but we can recommend several local wineries that we’d love you to support. 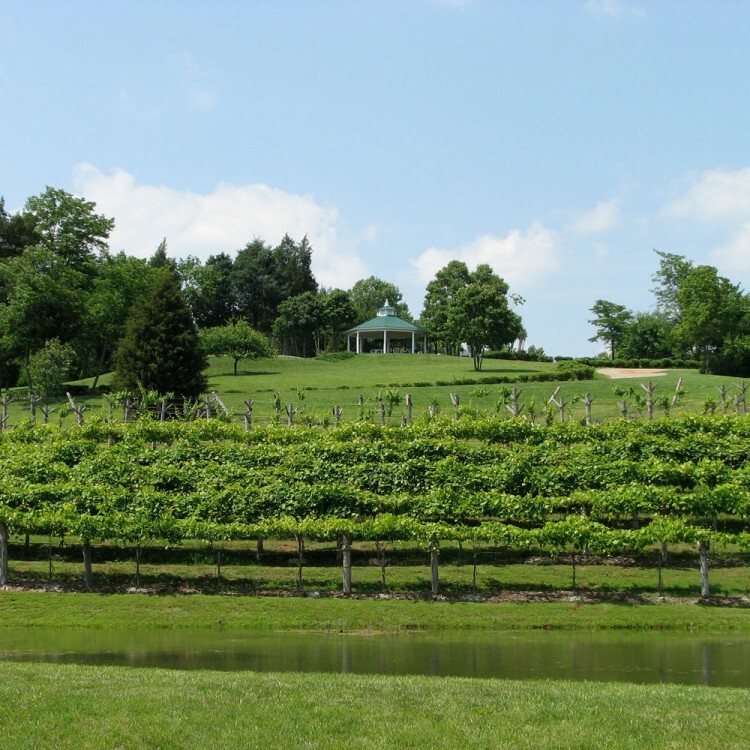 Goochland County has three active wineries.